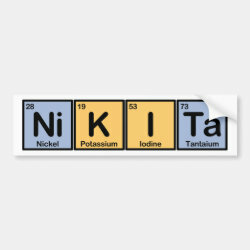 The name Nikita spelled out using elements of the periodic table. 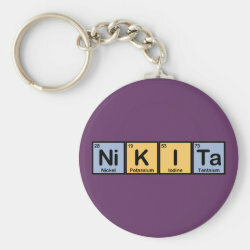 You can totally customize this gift! 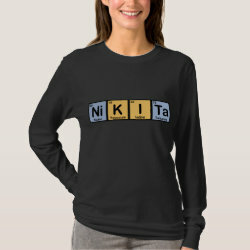 Move the design around, change the color or style, add your own text or images -- make it your own!